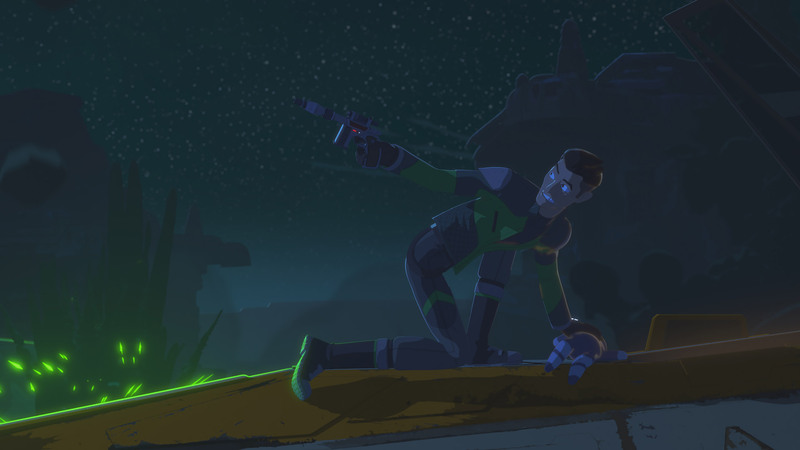 In a rare instance of Jarek Yeager having a paying customer within an episode, the garage is currently working on a green ship of unknown make, which in truth is a reuse of the model of Rucklin’s racer, standing in as another vessel. Poe having to depart for Jakku on General Leia’s orders and taking BB-8 with him is an indicator of how close the series is coming to the events of Star Wars: The Force Awakens. 3. I have a bad feeling about this. With cored planets, and a star killed…whatever might the First Order be up to? 4. Look out for gravity! A gravity well is any concentration of gravity that affects starship navigation. 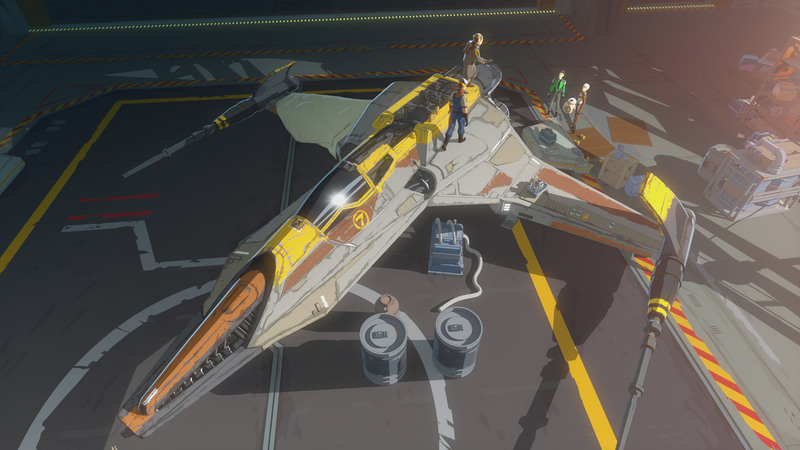 They may be artificial (like those used in Imperial Interdictor cruisers in Star Wars Rebels) or natural (like the one found in the heart of the Kessel Run seen in Solo: A Star Wars Story). The one at the heart of the cored planetoid may be a strange mix of both: a side effect of technology. This episode introduces a new probe droid design for the First Order. 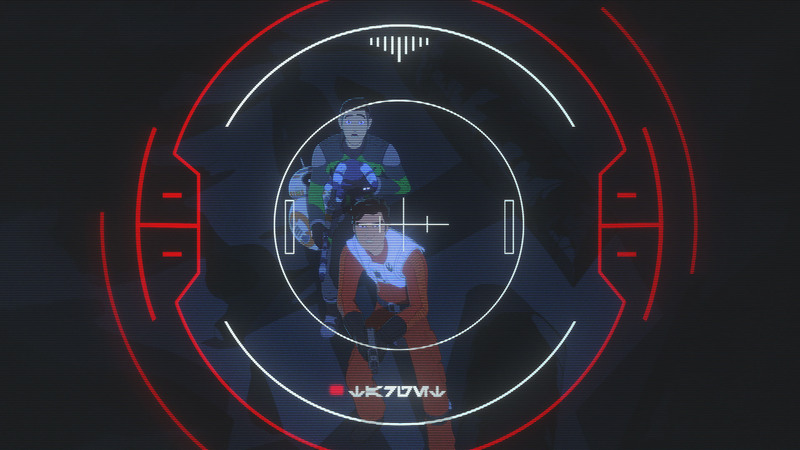 The original episode outline first called it a “science probe.” Its point-of-view photoreceptor image has the word “TARGET” in Aurebesh on display. Kaz picks up a tooka doll from the village ruins. 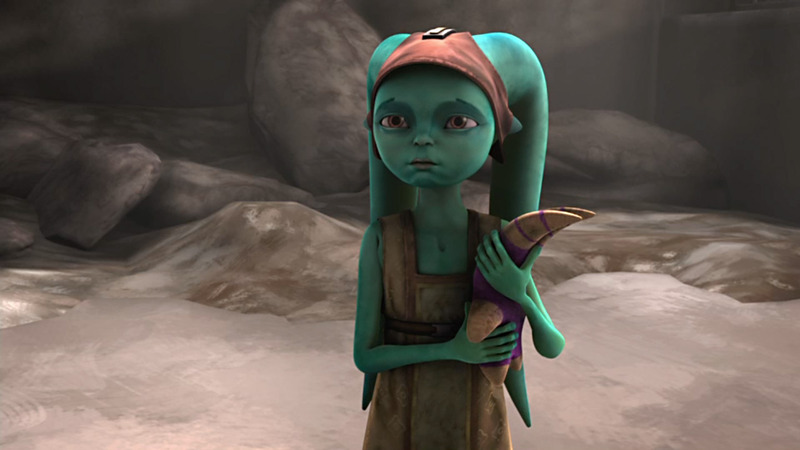 Tooka dolls have been kids playthings in Star Wars since the first season of Star Wars: The Clone Wars and have also appeared in Rogue One: A Star Wars Story and in Torra’s room in this series. 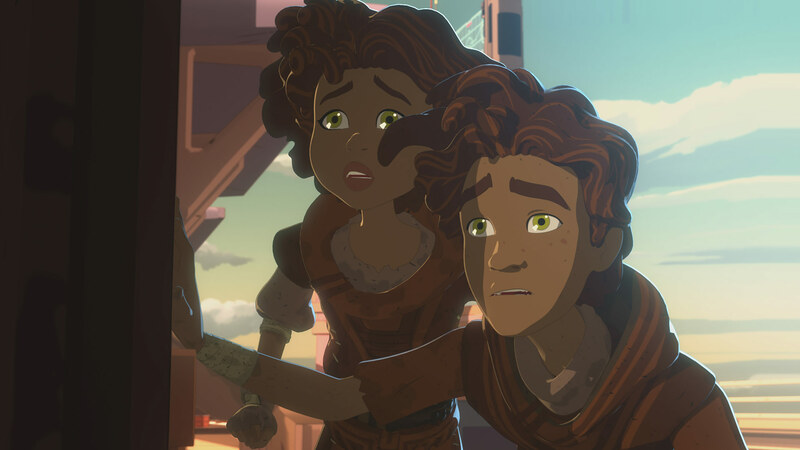 Sharp-eyed viewers may have spotted that among the village ruins is the same symbol worn on a bracelet once owned by Kel and Eila.